The internet is the top source for information. 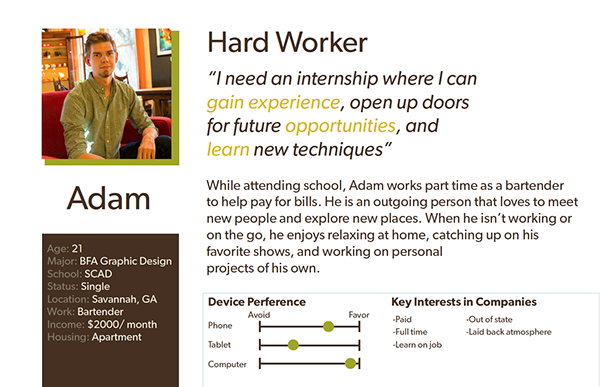 So when potential interns want to learn more about a company, it's important to provide a simple, user friendly website. 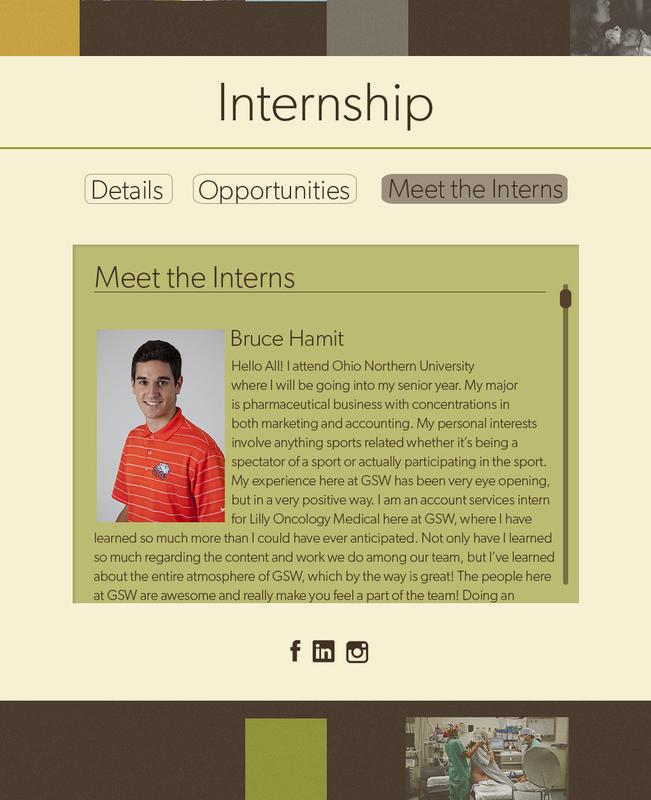 Through extensive research of users' wants and needs, the GSW Intern website was created. 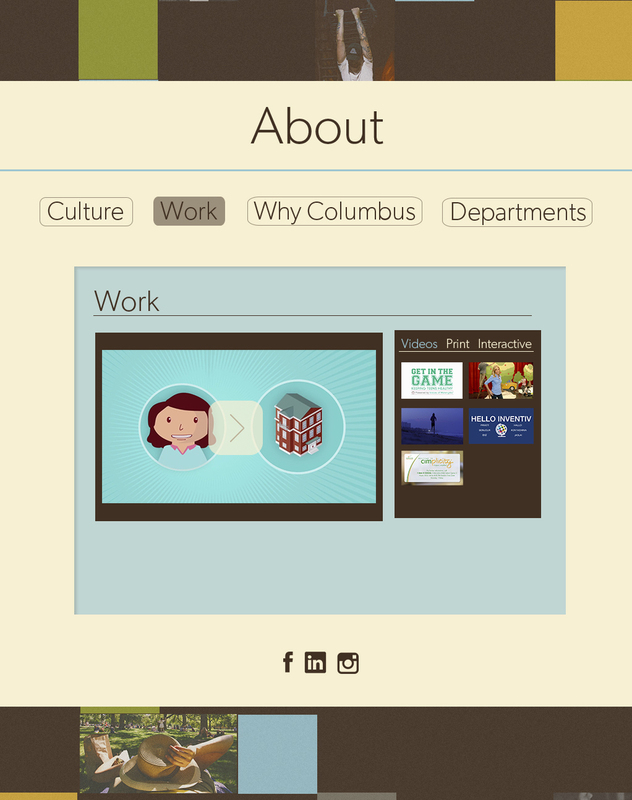 -Show potential employees why to choose Columbus in comparison of other Inventiv locations. Inventiv Health will benefit when more users apply. 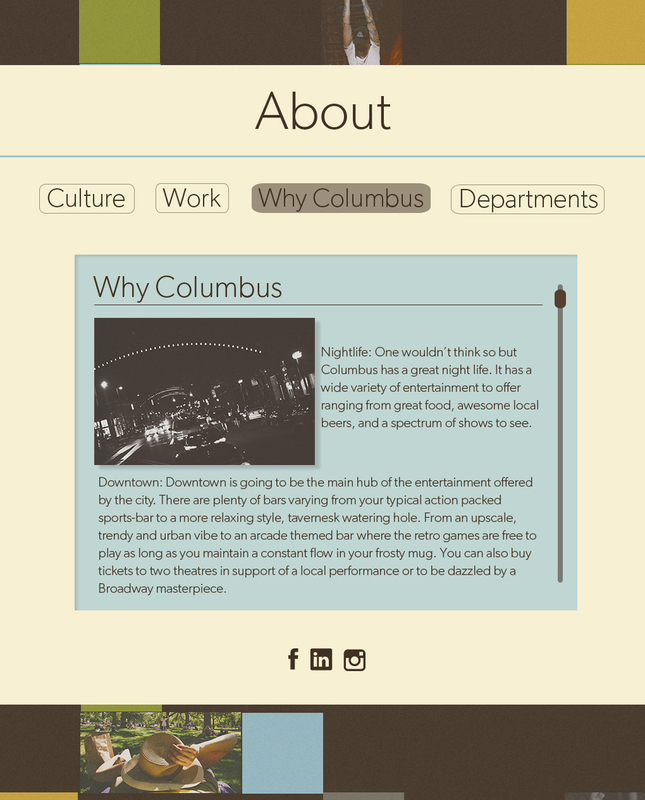 More diversity of people applying means new creative approaches to the agency and users spreading word about the Columbus based company. The research from the OptimalSort and Treejack data helped make a fluent site-map where users, like the ones listed in the personas, could easily find the information that they are looking for. 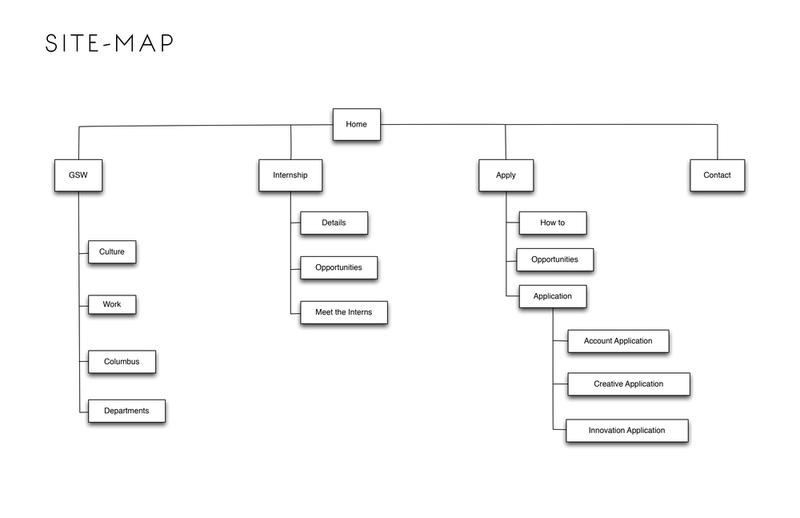 When creating this site-map it was important to make it as simple as possible. 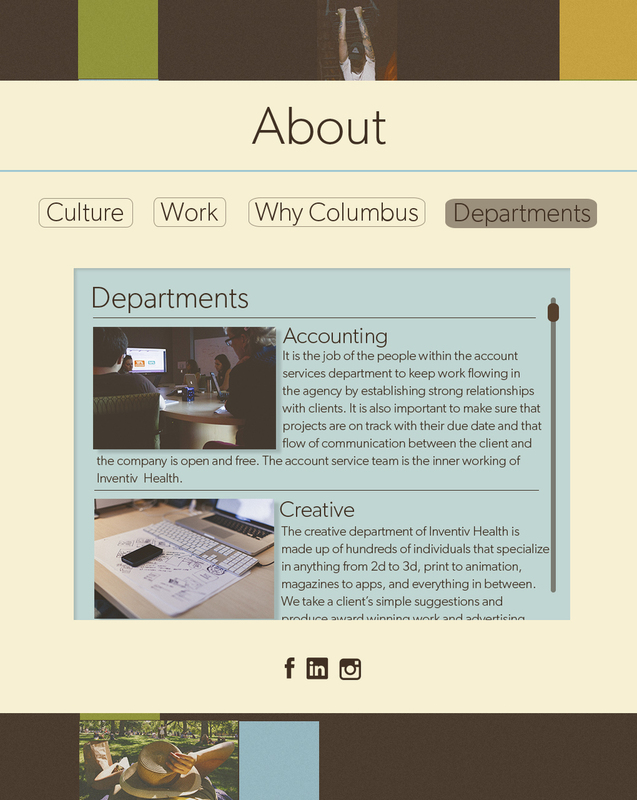 The wireframes then outline the placement of pictures, copy, navigation, etc.